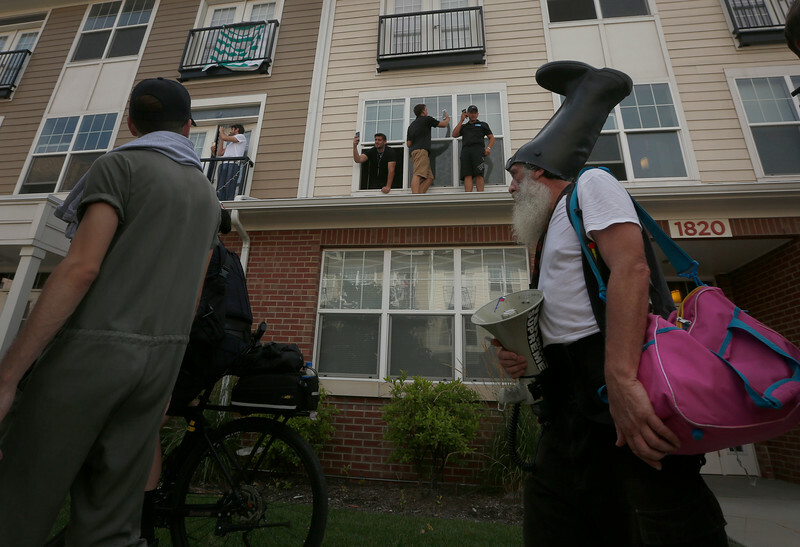 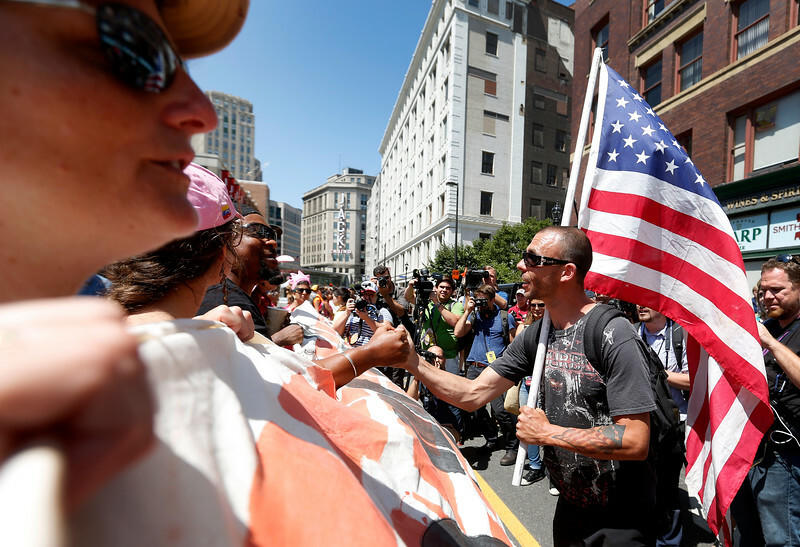 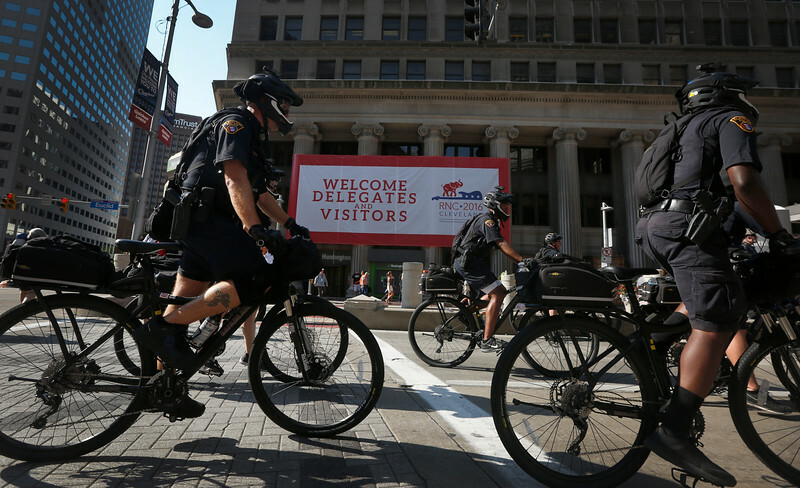 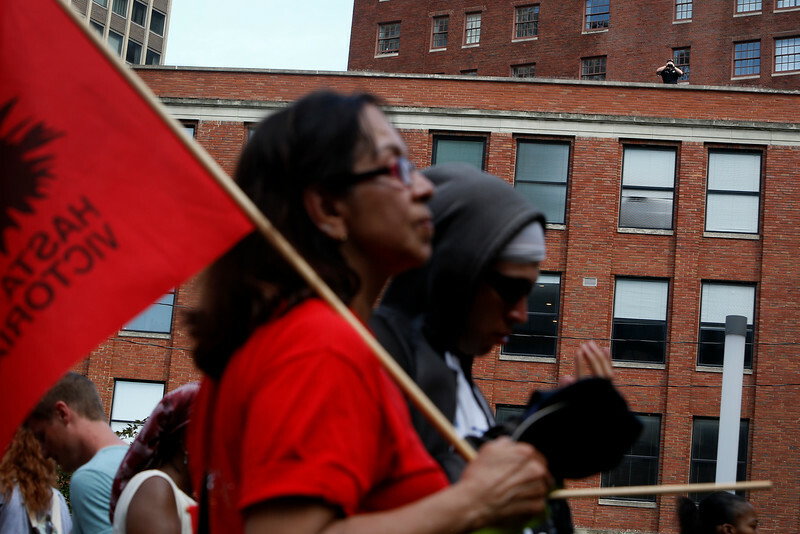 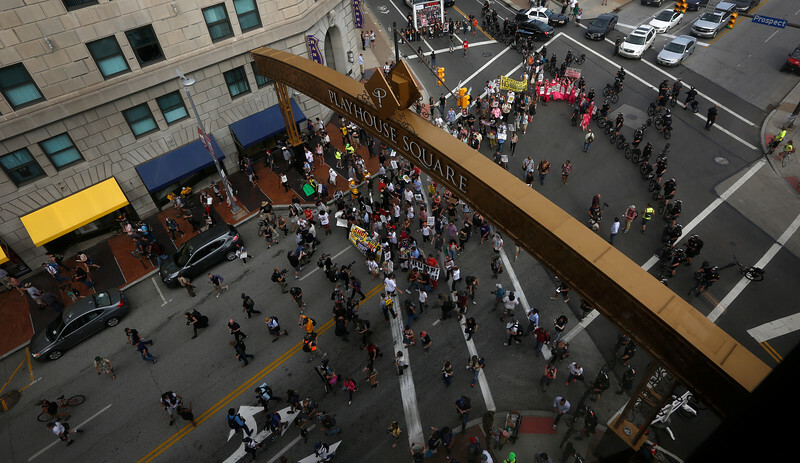 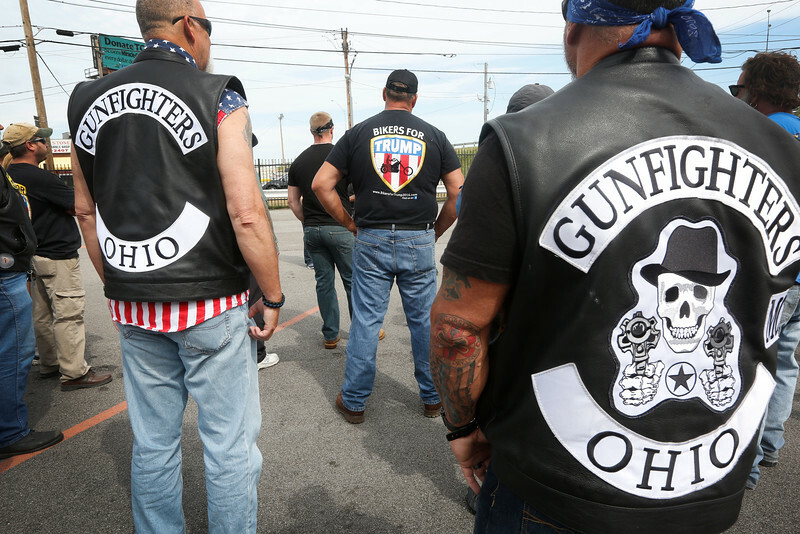 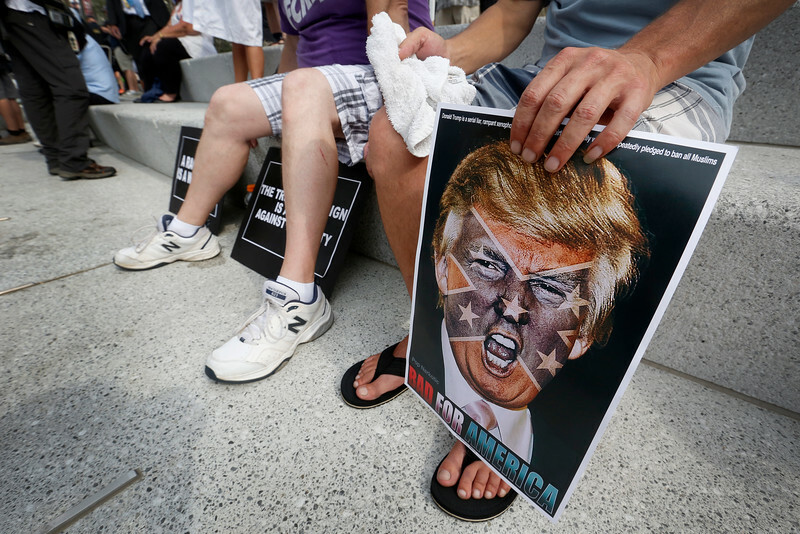 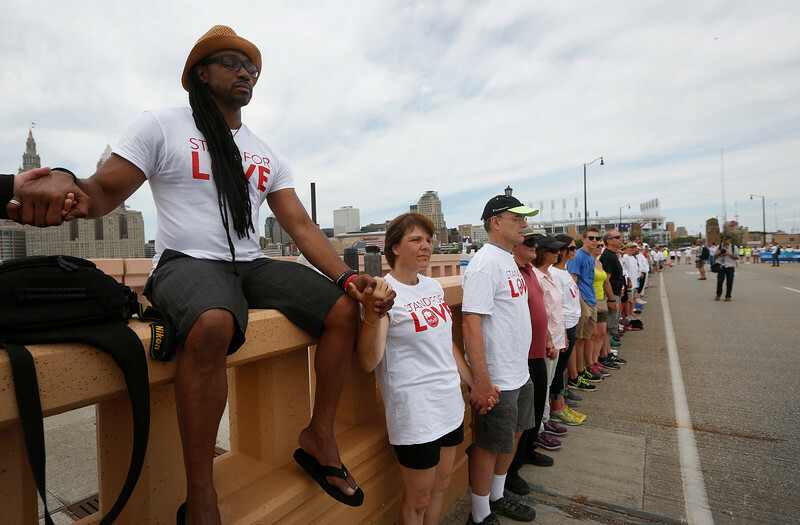 Thousands took to the streets of Cleveland, Ohio during the 2016 Republican National Convention at the Quicken Loans Arena from July 18 - 21, 2016. 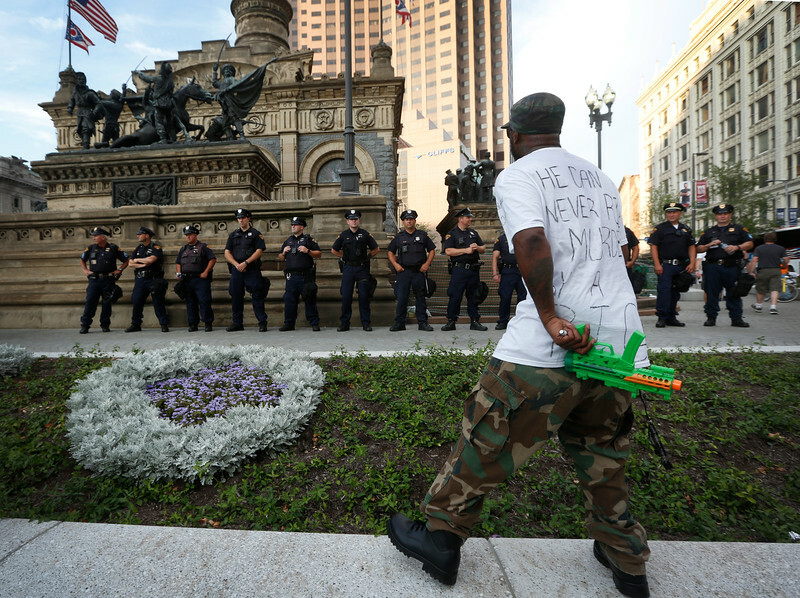 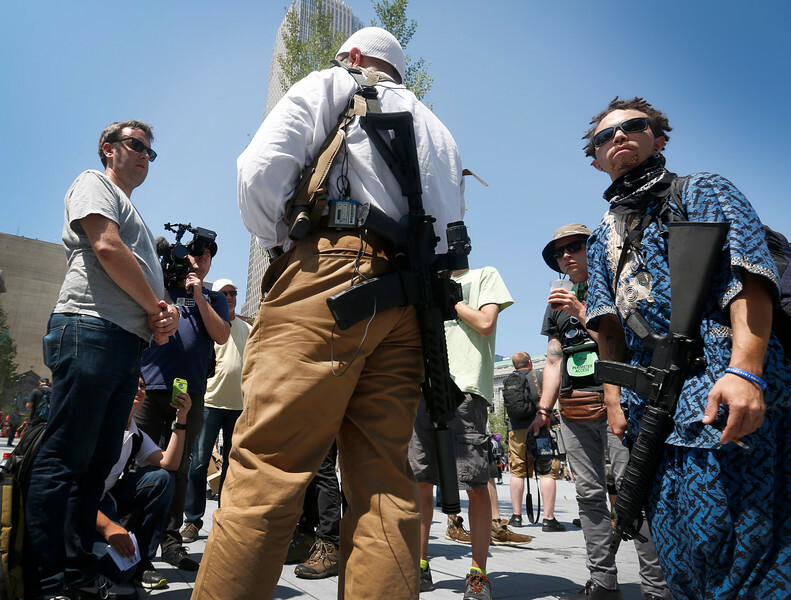 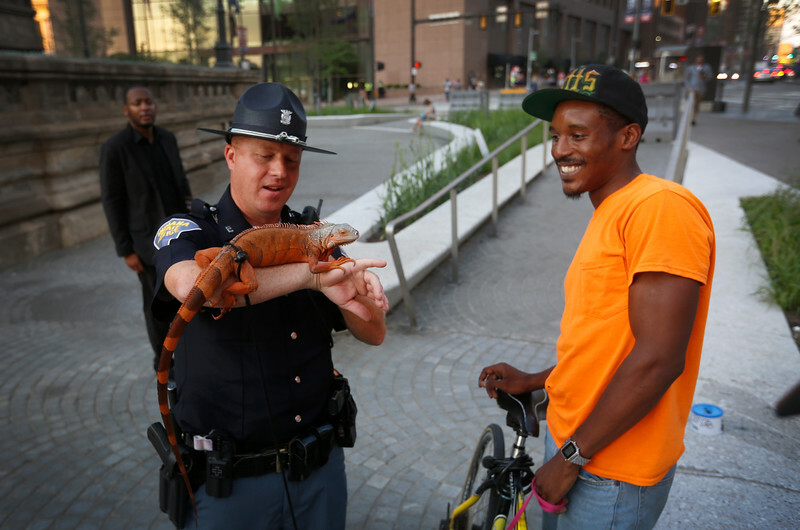 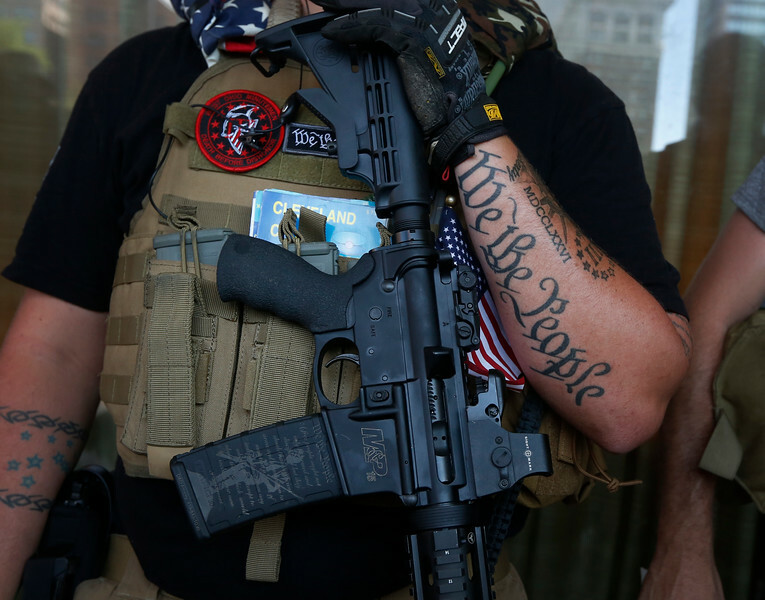 A member of the West Ohio Minutemen stands on patrol in downtown Cleveland during the Republican National Convention in Ohio on July 20, 2016. 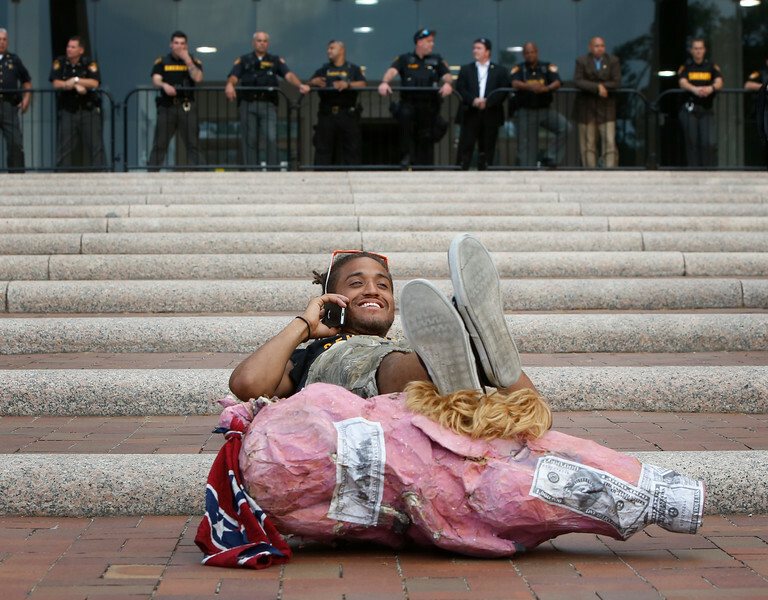 A protester lies on the ground in front of a line of police guarding a building in Cleveland, Ohio during the Republican National Convention on July 21, 2016. 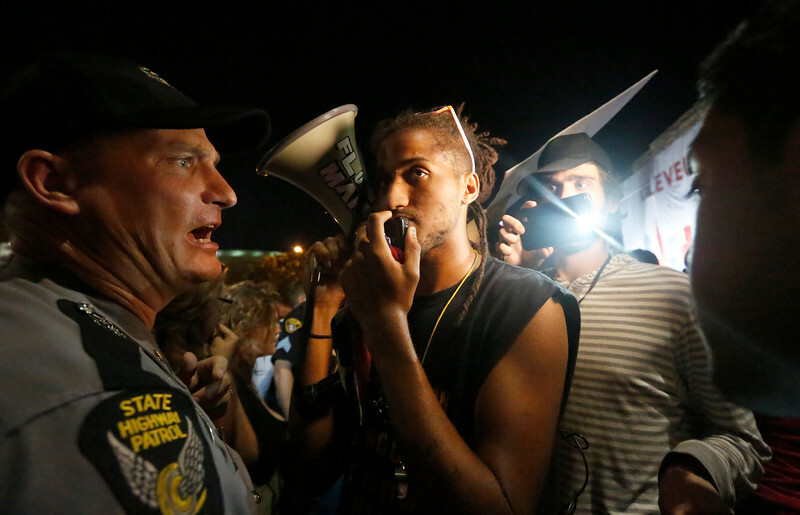 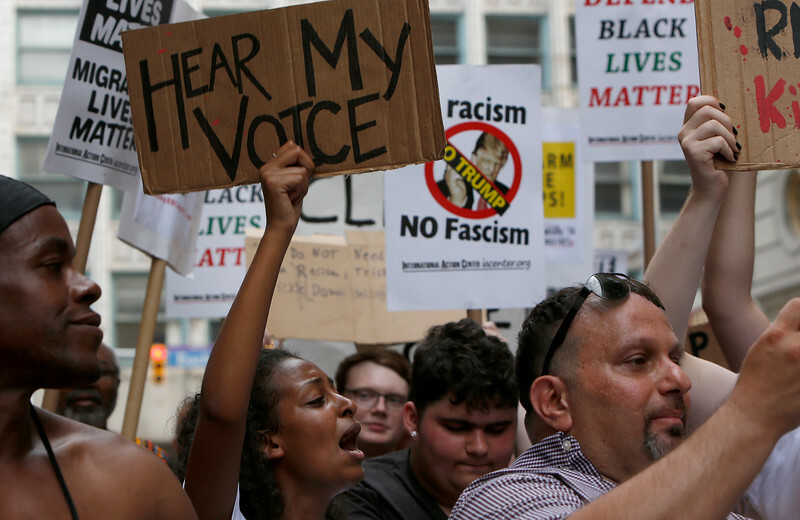 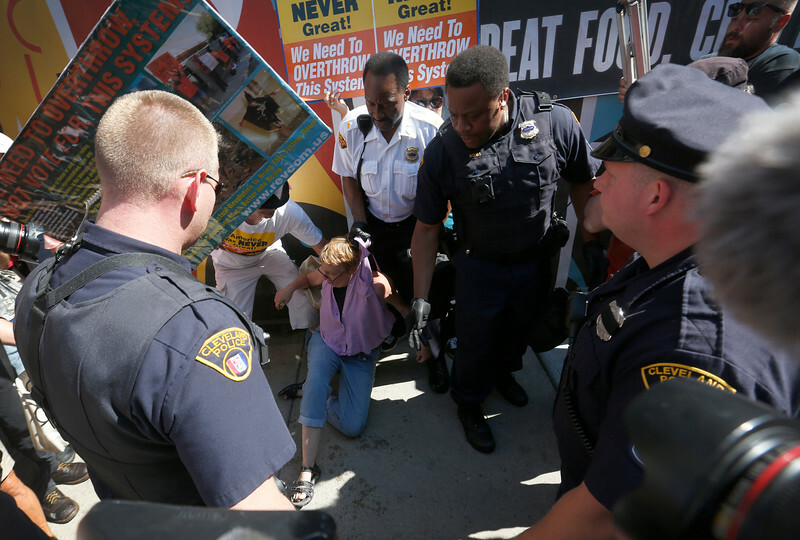 A protester speaks into a microphone as an Ohio State Highway Patrol officer holds a line as protesters gather outside the Republican National Convention in Cleveland, Ohio on July 21, 2016.